New Delhi: Spread across 32 villages in 22 locations, SOS Children’s Villages of India has provided a home to at least 7,000 orphaned and abandoned children. A typical village is a six- to seven-acre property comprising 15 homes for families and houses for the village director, assistant village director and co-workers. As of today, 7,000 children stay inside the village as part of the Family Based Care (FBC) programme. SOS India also runs a Family Strengthening Programme (FSP), in which it is working with 17,000 vulnerable children from families below the poverty line, children of widows and single women and an additional 7,000 children who are siblings of this vulnerable group of children who are at the risk of losing parental care. A team of 1,314 people provides education, nutrition, psychological support, care and holistic development to every child. 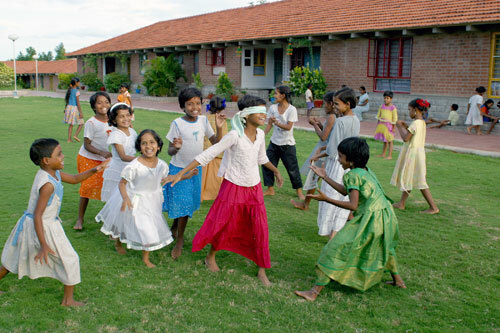 SOS Children’s Villages India strives to create a home for every child and the caregiver, who is called “Mother”. Every home within a village comprises of eight to 10 children and has a mother who takes care of them. A candidate enrolling with SOS to become a mother is trained for three months at a national training centre in Faridabad. This training equips them with information about SOS policies, the nutritional requirements of children, their own physical and emotional well-being and instils a zero-tolerance approach towards physical or emotional abuse. Then they go to the village as trainee mothers or aunts and perform that role for a minimum of two years. Then they are ready for taking on a home as a full-fledged mother. Most mothers are either divorced or have decided not to get married. Almost 99% of the mothers don’t have biological children and have made long-term commitments to SOS India. Mothers spend the day like any other mother in a family—waking up the children, getting them ready for school, cooking and doing household chores, shopping for groceries, playing with the children and so on. SOS India invests in training and capacity building of people at all levels. “We believe that salaries are important but building capacities and keeping them abreast with the latest is important too,” said Anuja Bansal, secretary general, SOS Children’s Villages of India. SOS India provides an enabling environment to its workers too, just like they do for their children, not just during their tenure at the organization, but even after they retire. SOS mothers and aunts are usually provided accommodation after they retire at the age of 60. Those who complete 20 years of service are also entitled to get a pension, which is 60% of her last drawn basic salary. All other SOS India employees are entitled to provident fund and gratuity benefits. In some cases, children take the mothers home, after their retirement, to take care of them as their parents.